Words that sound good are often used in marketing by those in dire need of credibility, or those promoting a warped view of reality needed to justify their own business models. Many catch words and phrases obtain an Orwellian opposite meaning, due to such usage. Some examples? organic growth = keep ranking on page 12. buy our ads if you want exposure. better luck next life. What are some of your favorite double meaning words and phrases? but can we say that! The 'ethical seo' and 100% spam really made me laugh. Excellent post and great idea. $97 Value = Nobody would ever actually pay for this. Bonus = Advertisement/come-on from another guy with a mega long sales page like this one. Free Trial (pay only shipping and handling) = I've got your credit card number. Secret = A widely known and/or ineffective technique with a $97 value (see also, $97 value). Testimonial = quote from someone who has either gotten a testimonial from me or who wants a link from me. 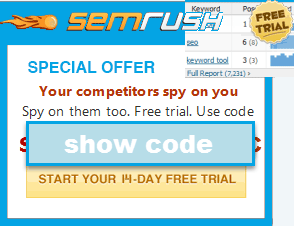 Review = I have more than one affiliate offer. Best ____ (fill in with hosting, acai berry, colon cleanse) = This ____ has the highest payout. I could probably add 50 more if I went and visited a couple of long info product pitch pages. I have followed some of the "free trial" ads on Facebook and they are nasty - free trials for junk ("As seen on Oprah" acai berry pills and colon cleanse - WTF is that?) that charge you $100/month if you don't cancel ASAP, but that information is hidden as much as possible. Aaron - subjects from the comments don't show in the comments. That's sort of strange. my favorite of your listings is this one...soooo true! I've got your credit card number. my wife canceled one of her accounts nearly a year ago, closed the bank account they were trying to charge, and they are trying to mail her bills for a service she canceled a year ago and is not using!!! "you're leaving money on the table = It's my money (on your table), and I need it now. (a shout out to J.G. Wentworth!)" Thanks for a great laugh. The Insider Secrets THEY don't want you to know = I bought a used Dan Kennedy book at a swap-meet in Trenton, NJ. Blackhat is back = Crap, I better sell this course before Google completely discounts social media / bookmarking links. Social Media Guru = I use Twitter. Craigslist Secrets Revealed - I was too busy posting on Craigslist to notice that Craigslist is suing so many people that Jenny Craig is changing its name to Cenny Jraig. "Only 138 more Copies Left"
a simple, proven formula - this never, ever works. Ever. I laughed out loud at your post, and then the great responses - my fave was dan's: "Social Media Guru = I use Twitter"---classic! "Earning a living online" = I have an Adsense account with $3 in it. "Neglected Niche Site" = A badly conceived idea that I have all but given up working on. Brandable Domain = I bought it when I was drunk - but it's only one syllable! Limited Supply = We have infinite copies, but we heard scarcity sells. It may sound like I'm contradicting myself = I'm back-peddling big time because you caught me in a lie. Heh heh. Well that wasn't my point. I just read Predictably Irrational by Dan Ariely and Influence by Robert Cialdini and those convinced me that if you actually want to sell stuff, you should always put a value on it. Have you read those books? They're reasonably fun, relatively light reads, but have some substance too. That one made me chuckle out loud! I read Predictably Irrational...good stuff. Have the other book, but have not yet read it. I actually just dove into Influence - about 20 pages in so far and it's great. Predictably Irrational is next on the list. Google Quality Control = Google Bitchslap - A competitor reports your site as spam and google removes it from the index. An Internet Marketing Guru = Someone who makes a lot of money talking about how he/she makes money online, and people visit his site because they wish they could be just like him. He spends half his time going to expensive restaurants and taking photos of food and expensive cars, which he then posts on his blog to reinforce his Guru image. Also, they typically herd in groups, where one 'Guru' promotes the other 'Guru's services and vice versa to help reinforce the fact that they are Gurus. How about "I'm looking for a few (number here crossed out several times) dedicated people who really want to learn how to.... blah, blah, blah! = I need some big money from coaching to buy my next new car so sign up now. Cannot export site info. Any reason why?